After a spectacular World Freeride event at Kicking Horse, the resort is planning the opening of the Freeride venue, Ozone. The face drops 384 meters at an average pitch of 44 degrees. Cliffs from only a few feet to over a 100 stripe the face. The face is a favorite venue of the riders on the Tour for the variety of terrain, the steepness and the challenge. 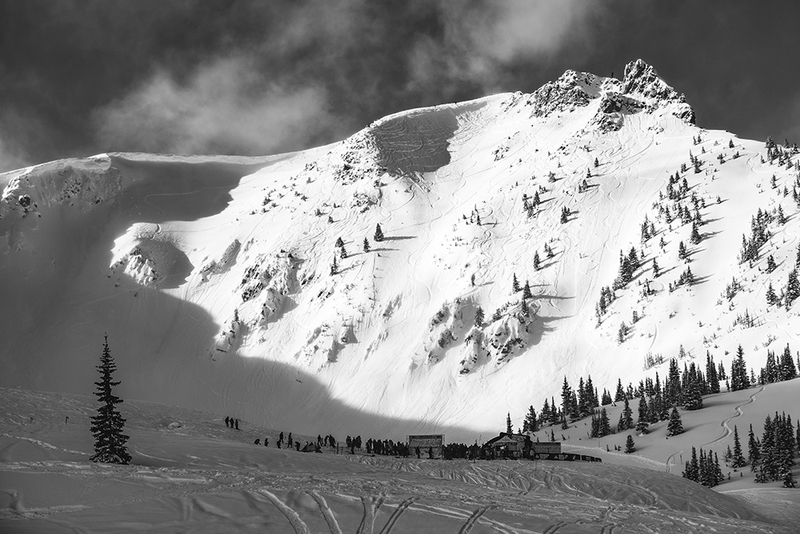 This opening will put one of the permanent closures at Kicking Horse into play as an extreme challenge for the public. The snow safety staff started working on the Ozone snowpack in early November. They spent literally 100’s of hours stabilizing the face. Over the course of the winter, at one time or another, every chute on the face slid. The most recent, a major slide down the middle only two weeks ago. Recent storms dropped over 50cm on the face, settled the avi danger and created a solid skiing surface. To access, hike up to Whitewall, ride down the ridge and then hike to the top of Ozone reaching the new high point of the resort at 2,505 m (8,218 ft), then drop into some of the rowdiest in-bounds terrain you can imagine. Ride it like the pros in the Freeride World Tour! ‘This is a one-of-a-kind skiing and riding experience’, says Matt Mosteller, ‘the best of Mother Nature’s wildest terrain and you have a real treat’, he added. So, this is your chance, let ‘er rip like a Big Boy.